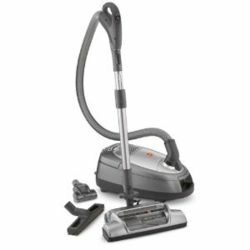 The Oreck XL Classic Limited Edition (UK2200) upright vacuum cleaner is getting pretty solid reviews and ratings from owners. This bagged, “no frills” machine is very lightweight and easy to move and maneuver. 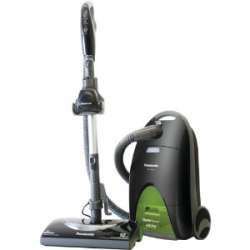 It is also reasonably priced and it performs well on carpet and bare floors. However there is no hose and no tools or attachments, and some folks struggle with moving it on deeper pile carpet. In addition, the power cord is also a little on the short side. 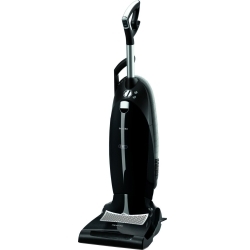 The Bissell Zing 1668 is a small, bagged canister vacuum. It is lightweight, compact and easy to carry. 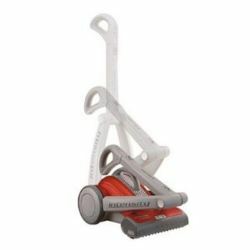 It is designed for bare floors, rugs and carpet but performance on carpet isn’t particularly good as the floor nozzle does not have a brushroll. It does perform fairly well on bare surfaces however and the unit is very affordable at well under $100. 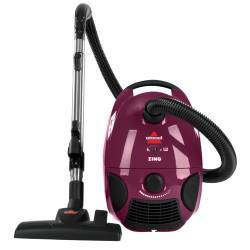 This vacuum is very similar to the Bissell Zing 4122, and we believe it is actually the replacement for the 4122. 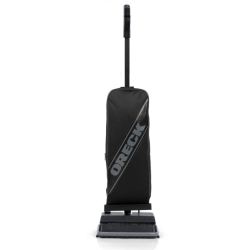 We've looked at several Oreck upright vacuums in the past and we've run into some pretty good machines - some even made our list of best upright vacuums. 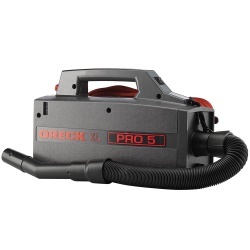 So we wanted to see what Oreck was doing with respect to canister vacuums. The Oreck Quest MC1000 is unfortunately quite underwhelming. Consumer ratings are low and many owners feel the machine is cheaply made and not well designed. 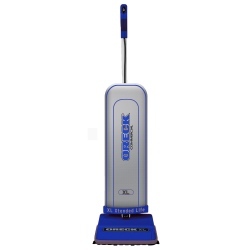 The Oreck Commercial BB900DGR XL Pro 5 is a compact, bagged canister vacuum that is meant to be carried. 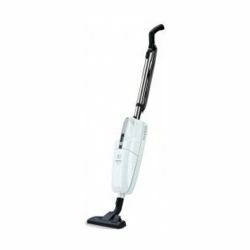 The machine is well liked for its over-the-shoulder carry strap, light weight, host of cleaning tools, lengthy cleaning reach, and solid suction. However, some folks have issues with the unit’s short, somewhat inflexible hose and the loose fit between the hose and the extension wand. Some owners really love this vacuum while others are not impressed. Overall consumer ratings are fairly average. The Oreck Magnesium gets fair reviews. On average it does not rank as highly with consumers as some of Oreck's XL units however. 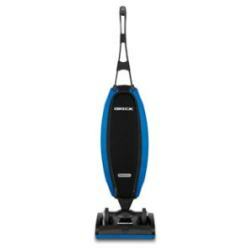 The Magnesium is well-liked for its extreme light weight, powerful suction and easy maneuverability. Detractors point out the need for frequent maintenance, noisy operation, and the units inability to get into tight areas. The Oreck XL 2100RHS is an upright that is getting good owner reviews and if you like no-frills machines that deliver then this one is worth looking at. 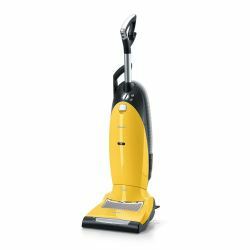 Consumer ratings are excellent and the vacuum is extremely lightweight, easy to maneuver, and it comes with a very long industrial power cord. Were not sure how much longer we will see this unit on the market however, as it can no longer be found on the Oreck website  but perhaps appearance on the website is not indicative of product continuity. 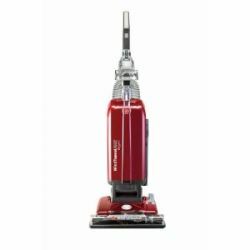 The Oreck Insight upright vacuum (model U7010ECS) gets very solid ratings from owners and is noted for being exceptionally lightweight and powerful. It is a bare bones machine however and while it includes HEPA filtration it comes with little else. 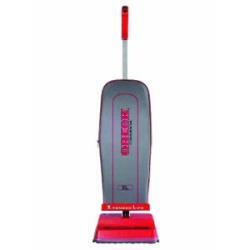 It is bagged and performs well on low pile carpet and bare floors but is difficult to push on deep pile carpet. 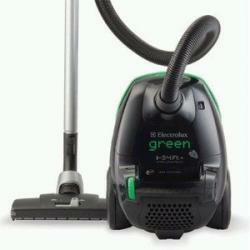 The Electrolux Ergospace Green gets fairly good reviews and is lightweight, easy to maneuver and very quiet. It works well on hardwood floors and is environmentally friendly being made in part of recycled plastic. The vacuum is also packed in unbleached recycled cardboard. The brushbar is air-driven however and while the Ergospace is effective on bare floors some owners report that it does not excel on carpet. 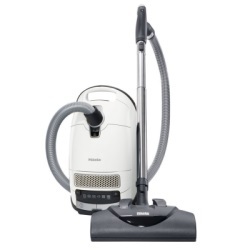 The Miele Callisto is part of the Miele S5 series of vacuums. 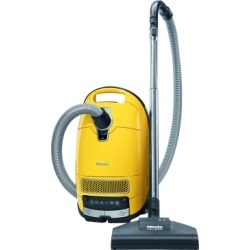 The S5 series are Miele's higher-end canister vacuums, with the S4 and S2 series being typically more affordable. The Callisto has been around for some time and is now paired with the new SEB228 Heavy Duty Powerhead (for both high and low-pile carpet) and the SBB300-3 Parquet Floor Brush (for bare floor cleaning). 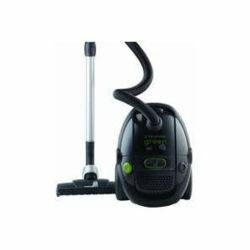 This canister vacuum gets very good consumer ratings and is said to be powerful yet still quiet. 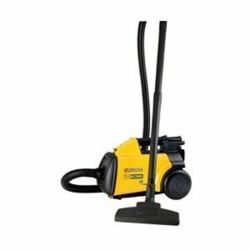 The Eureka C5712A is a commercial vacuum and like most commercial machines it does not come with a lot of fancy features, although this one does have a few tools and it uses a sealed HEPA filtration system. It is recommended for UL-listed commercial or heavy-duty residential use. Ratings and comments for this unit are not easy to come by but those that exist don't seem particularly favorable. 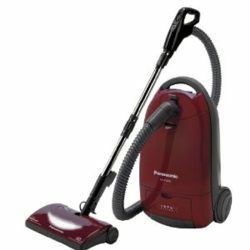 The consumer ratings and comments for the Panasonic MC-CG902 Canister Vacuum Cleaner indicate a fairly high level of consumer satisfaction. 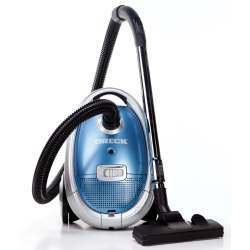 This vacuum was also recently given a best buy rating from a popular consumer magazine. 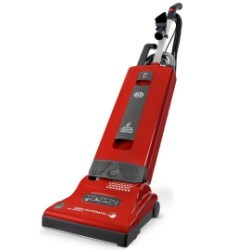 Folks that use this machine like the quality attachments, retractable power cord and the fact that it is good on hard surfaces however some lament that it does not come with a handheld turbine attachment for cleaning pet hair from stairs or upholstery. 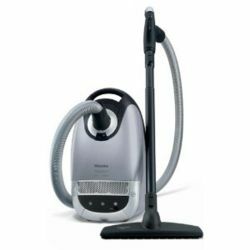 The Electrolux EL6984A UltraSilencer is a lightweight and extremely quiet bagged canister vacuum cleaner. 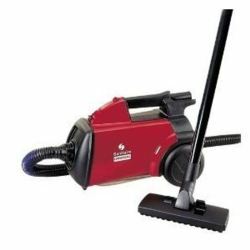 It gets top grades from consumers for its ability to clean hard surfaces (wood, tile, lino, etc) and for its quiet operation, but seems to fall a little short when cleaning carpet (in particular deep-pile carpet). On paper the Electrolux Ultra Silencer EL7060A sounds impressive. 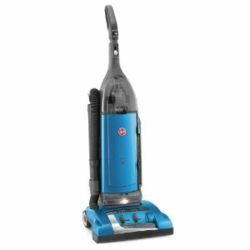 It comes with many features including a sealed HEPA system, suction control, automatic cord rewind and a 5-year warranty. It also has powerful suction, is lightweight and is very quiet. 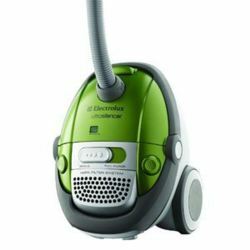 With all of these qualities one would expect this Electrolux canister vacuum to get great consumer ratings  but ratings are lackluster. Owners allude to a number of issues and while some do like the machine there are a sufficient number of low ratings to make one take notice. 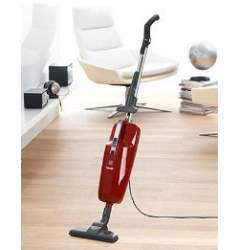 With a score of 81/100 from consumers the Miele Neptune stands out as a good example of a solid canister vacuum. The Miele Neptune is lightweight, compact and powerful. It is not a machine however for deep pile carpet but it excels when applied to low or medium-pile carpeting, area rugs and smooth flooring. 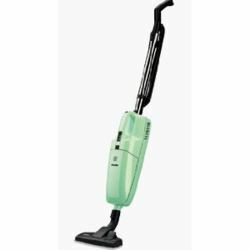 Ratings for the Hoover UH30600 used to be very high but they have dropped in the past few years. Consumer ratings are now somewhat average. The UH30600 is a bagged upright designed for both carpet and bare floors. 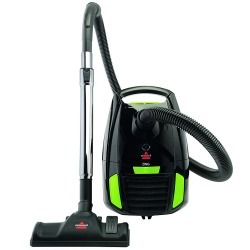 It has HEPA filtration, a long power cord, a range of on-board tools, and seven different height settings. Owners feel that it has outstanding suction and that it is not too expensive (about $150 at certain outlets). Some consumers find it a bit heavy however. 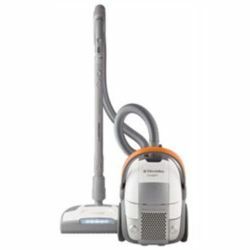 The Hoover WindTunnel T-Series Pet Upright Vacuum (model UH30310) is a bagged upright that comes with a few extra tools for vacuuming up pet hair. Consumers report that this machine is indeed very good at picking up pet hair, and they also like the long power cord, the light weight and the fact that it is not too expensive. However some folks wish that the vacuum came with more than one wand and it does have a lot of plastic in its construction. 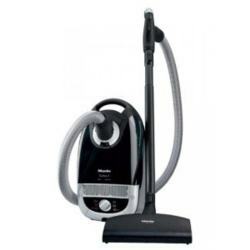 The Miele S4212 Polaris canister vacuum gets average grades from consumers. It is the least expensive of the Miele S4 series of canisters and is recommended for short-pile carpet, area rugs and hard surface floors. Consumers like the Polaris' light weight, variable suction and extremely quiet operation. On the downside the power cord is a little short. 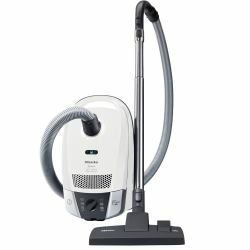 Like many of its canister brothers the Miele Olympus vacuum cleaner (recently renamed to the Miele Classic C1 Olympus vacuum cleaner) receives high grades from consumers. Owners praise the vacuum for its powerful suction yet quiet operation. It is also very effective on bare floors. However if this unit has a weakness it is likely its limited cleaning ability on carpet. On very low-pile carpet it is ok, but it struggles with anything deeper than this. 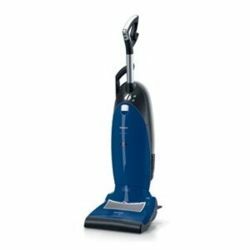 The Hoover WindTunnel T-Series UH30300 is not fancy but it is light, has powerful suction, is easy to maintain and is also very reasonably priced. The general owner consensus is that this machine is fairly good value for the money. There are some comments however that the vacuum is a bit loud and that too much plastic is used in the construction. 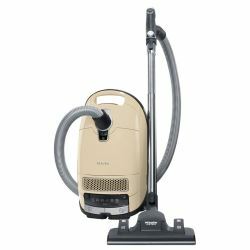 According to the Hoover.com website the Hoover UH50000 TurboPower WindTunnel Anniversary-Edition Upright Vacuum Cleaner is a Consumers Digest Best Buy. 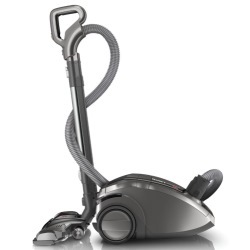 However consumer ratings and reviews (from those who have bought and experienced the vacuum) are average at best. 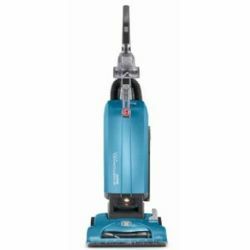 The Hoover Windtunnel vacuums do seem to get a lot of repeat customers however, and this may show a certain level of satisfaction with the brand and products through the years. 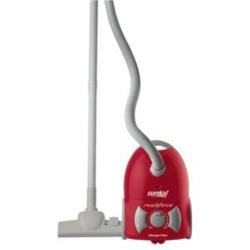 The Eureka ReadyForce 900A is a very inexpensive canister vacuum (about 60USD on Amazon). For the price it also gets reasonable consumer reviews. Ratings for this unit used to be better but they have dropped in recent years. If you have a lot of hard floors and are looking for something light, easy to maintain and not too loud then this could be a good choice. However if your house has a lot of carpet you may want to consider other options. 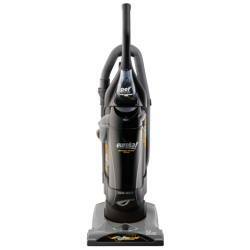 The Eureka Boss SmartVac Pet Lover 4870SZ is a bagged upright vacuum and has been rated as a Consumers Digest Best Buy. However it is getting pretty average consumer reviews and some owners have highlighted a number of issues issues. 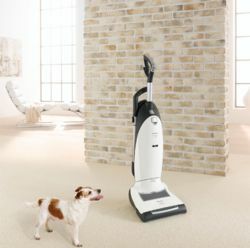 The 4870SZ was created for households with pets, and as such comes with several pet-friendly features including odor-eating vacuum cleaner bags, a sealed system, and High Efficiency Particulate Air (HEPA) filtration. 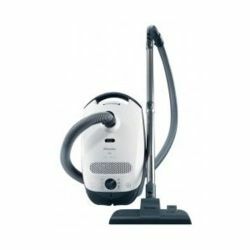 Manufactured in Germany and new for 2010, the Miele S2 series of canister vacuums range in price from about 300USD for the Olympus to about 600USD for the Titan. It can be a little confusing determining which S2 canister is the right one for your needs. In this review we describe what the Miele Olympus, Miele Delphi and the Miele Titan have in common as well as where they differ. Additionally we discover some of what consumers think of this relatively new Miele S2 vacuum cleaner series. Very much a no bells & whistles bagged canister vacuum, the Eureka 3684F Pet Lover nevertheless gets good ratings and reviews from consumers. It is also fairly inexpensive at around the 100USD level (at certain outlets). 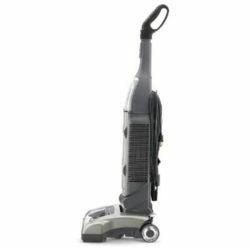 Consumers like the fact that it is very lightweight, compact and good on hard surfaces, but point out that the short power cord and low quality vacuum hose are shortcomings. 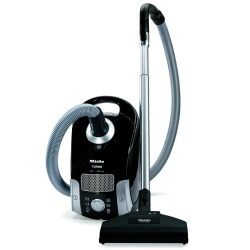 Miele has been around for over one hundred years and they have been manufacturing vacuum cleaners since 1927. The S2 series of canister vacuum cleaners is fairly recent and the top model in this group is the Miele S2180 Titan (Recently renamed to the Miele Classic C1 Titan). The Titan gets good ratings from consumers and is capable of cleaning all manner of flooring from bare floors to low and medium pile carpet. 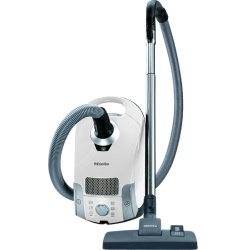 Miele have been manufacturing floor care products for 80 years and they are famous for making quality vacuum cleaners. 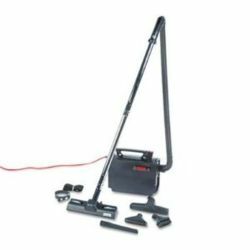 We've reviewed several of their canister vacuums and stick vacuums in the past and in most cases have found them to be solid products. The S7210 Twist (now renamed the Miele Dynamic U1 Twist) is the first full-size Miele upright we have looked at, but it does not rate as highly as their canister machines. 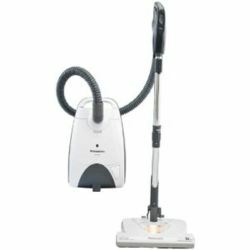 It uses a powerful Miele-made vortex motor, has automatic height adjustment, a very long 39 foot power cord and also comes with variable suction control. 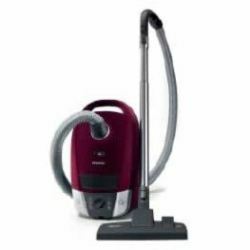 The Miele S168 stick vacuum is the latest Miele stick vac and it is slightly more advanced (and more expensive) than the S163. The suction on the S168 is fully variable and some consumers heap praise on this machine for its power and its ability to run very quietly. 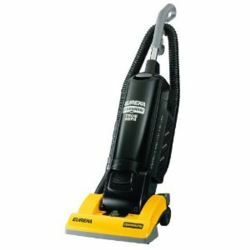 On the downside, even though rather light for an upright, it is considered by many to be too heavy for a stick vacuum. 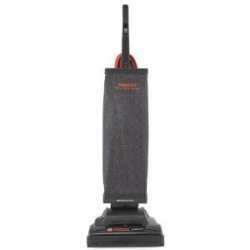 The Eureka Sanitaire SC3683A is considered a commercial vacuum but plenty of folks seem to be using it in their homes. Consumers like the fact that it is small, light, powerful and HEPA ready, although there are some comments about it being better on hard surfaces than carpet. 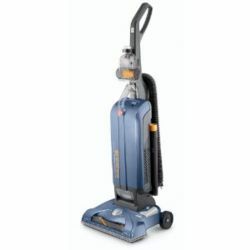 The Hoover S3670 WindTunnel Bagged Canister vacuums gets good grades from some consumers and poor grades from others. 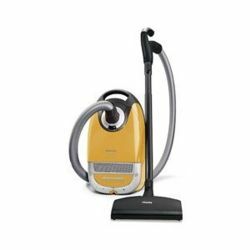 People like the vacuum's strong suction and stylish looks but are unhappy with its poorly designed hose and overly-plastic construction. 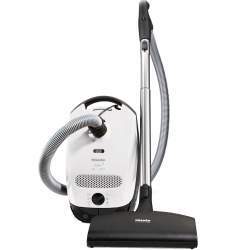 Like most Miele vacuum cleaners this one works very well but reviews are fairly average and it is also expensive. Having said that, it was recently rated by Consumers Digest as a Best Buy. Owner ratings on this unit are limited, but those comments that can be found are good in some cases but poor in others. 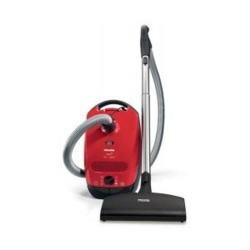 The Miele S163 stick vacuum also comes with a Super Air Clean Filter and an optional HEPA filter, a level of air filtration not overly common with stick vacs. It is recommended for low-pile carpeting and smooth floors. 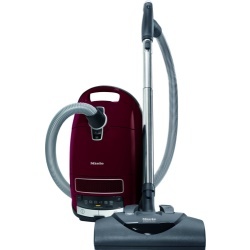 There are two Miele S4212 vacuums - the S4212 Polaris and the S4212 Neptune. The base model, the Miele S4212 Polaris is the replacement for the Miele S4210 Carina. 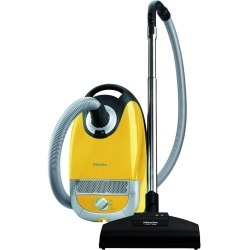 It should be noted that the S4212 Polaris is entirely the same vacuum with the same features as the S4210 Carina. The only difference is the color - the Polaris is a light blue color (baby blue) while the Carina is a light yellow. 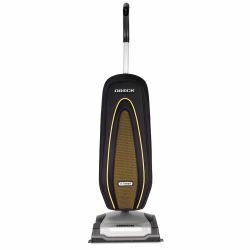 Like the S4210 Carina, the S4212 Polaris is the entry level Galaxy S4 series Miele canister vacuum, and like the Carina it is recommended for short-pile carpeting, area rugs and smooth flooring. 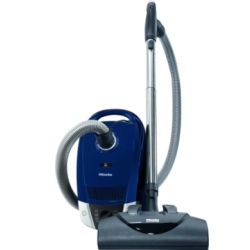 The Electrolux EL6988E Oxygen Canister Vacuum Cleaner is a lightweight, quiet, bagged vacuum. 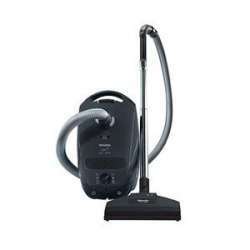 This vacuum also comes with HEPA filtration and consumers do feel it is effective on most surfaces. It is a little expensive however and some folks feel the bags are on the small side. After a number of comments asking us to review the likes of Miele, Lindhaus and Sebo we have undertaken our first Miele review. Were we impressed? Well, yes actually. 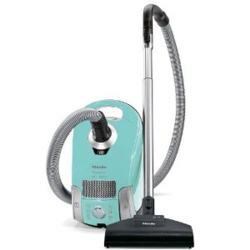 We typically have reviewed some of the more moderately priced brands of vacuum cleaners and the three aforementioned can be a bit pricey, however the Miele S4210 (Carina version at least) can be found at some websites/stores for under 400 USD. Not cheap but then again not over the top for a machine with fantastic reviews and a 7 year motor warranty (yes  7 years). 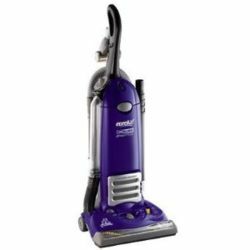 Not to be confused with the similar looking 3670A, the Eureka 3670G Mighty Mite Canister vacuum cleaner is a bagged machine that gets fairly good consumer ratings, is lightweight, powerful and inexpensive. 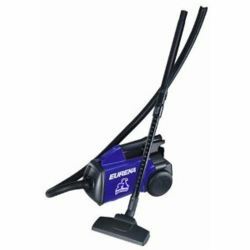 The Electrolux EL6985B is an interesting approach to a vacuum cleaner (it is similar to the EL6984A), focusing on reducing the vacuum noise level. We wish this was an idea more vacuum cleaner manufacturers would consider. 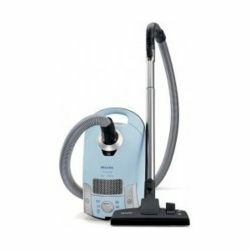 Electrolux has clearly been successful in making the EL6985B quiet given consumer comments - but how does it stand up to the competition with respect to other key features? 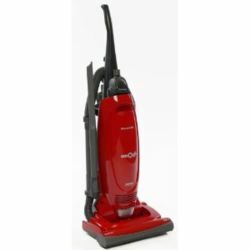 The Hoover U6485-900 Windtunnel Anniversary Vacuum Cleaner is a self-propelled, bagged upright with HEPA filtration. 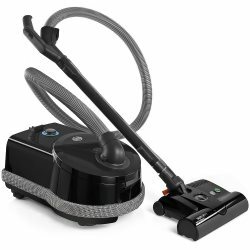 Many consumers are sold on the self-propelling feature and also report that their purchase was based on the vacuum getting top-notch reviews by a leading Consumer Reports magazine. 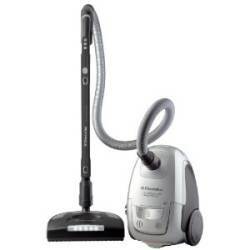 The Electrolux EL5020A Intensity Upright is a powerful, lightweight, inexpensive vacuum cleaner. Amazon's price of 108 bucks right now (as of this writing) seems like a pretty amazing deal - the Electrolux site posts an MSRP of 299.99USD. This is a bagged vacuum cleaner. Some people like a bagged machine because they do not have to clean out a dirt canister. However with a bagged machine you do have consumables  in the form of vacuum cleaner bags. Some folks actually clean out the bags and re-use them. We have 114 guests online.